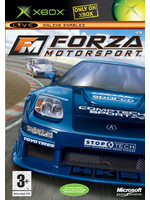 This year the Forza Motorsport franchise turns 10, an opportunity for us to offer you some videos of the first Forza released on Xbox in 2005, just before the sixth game comes out. To capture te game we used the Xbox 360's backward compatibility, set to 640x480 because the European version of the game forced 50Hz, causing the game to run at 25 FPS instead of 30. How have they not improved the graphics since the original?! Psych! This game made me envious of xbox owners and was one of the first things I bought when I got a 360 since it was backwards compatible. All jokes aside the graphics hold up pretty well and the driving model was pretty complex for its time (pretty sure it already had the physics model overlay that's now ubiquitous). You can also thank this game for the driving line. Thanks for the nostalgia!! How does 16 environments and 231 cars offer more variety than 26 environments and 460 cars? I think the Fast and Furious tie-in cars, rain with puddles and open wheel racers offer a lot of charm in Forza 6. Wow, the audio is pretty bad. The funny thing is, Grand Turismo 6 sounds like that, if not worse, and the audio in Forza games has changed completely. I am curious to see if Polyphony can finally get it right. I really miss Maple Valley, it was one of my favorite tracks in Forza games on Xbox 360. 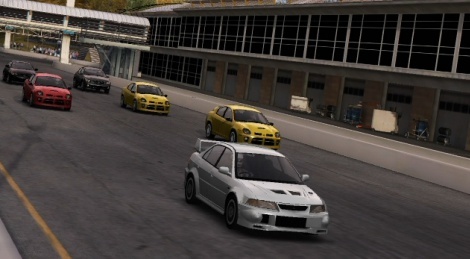 I remember having this game a year or so after release because I didn't have much money, loved it and was amazed by the graphics and number of environments etc, but I liked Rallysport Challenge more and I think it had superior graphics in fact they were almost a generation ahead, wish they would make another one, but its unlikely,I also had burnout 2 it was so exhilaratingly fast, and Project Gotham Racing , found that game a bit frustrating. I only stooped playing Forza when I lost my Xbox and all my other consoles and games in a burglary it was heartbreaking. The game that started it all! I remember the day like it was yesterday. I was so hyped to get this and it exceeded my expectations...specially coming from Sega GT haha. Who would have guessed the series would go on to become a house hold name and one of the best racers in gaming. Amazing work Turn10 throughout the years, I've owned them all! Oh...and your FM6 demo is killer. Wow, what nostalgia. I remember buying this as the first game on my Xbox. Many of the trees in this game actually look better than Forza 6 and look to have more of a 3d look and more depth! That's pretty sad, but says a lot for this game and how amazing console hardware used to be (at least the Xbox). The original Xbox was an absolute beast at that time. I remember vividly when Halo CE came out nothing on the PC could touch it visually. The only two games that really came close were MOH:AA and RTCW. How times have sadly and drastically changed for consoles.. I do feel that Shadowfall and The Order still stand up to any PC game at 1080p. If you had watched the F6 live stream you would see the amount of trackside detail going into the game this time round is quite staggering considering its running at 1080p 60fps.. i really dont think trees looking super detailed was more of a priority than filling the environment with more objects..